Choosing the right credit card, savings accounts, and best checking accounts is essential for having your finances in order. While checking accounts are usually more straightforward than credit cards and saving accounts, they’re still not all created equal. Plus, there are so many checking accounts to choose from that the hunt for the best checking account can become overwhelming and time-consuming, but you shouldn't just choose a random account either. 1. What Is a Checking Account? 2. What Are the Best Checking Accounts Good For? 3. How Can You Access Your Checking Account? 4. Where Can You Get a Checking Account? 5. When Should You Use a Checking Account? Checking accounts can come with many unwanted fees and other inconveniences. Taking the time to choose the right checking account for your situation can save you a world of headaches. For the best way to handle your day-to-day money, we’ve got five of the best checking accounts available for you, right here. A checking account is a bank account that’s used to store the money you use frequently and need easy access to. Unlike savings accounts or other bank accounts, a checking account gives you unlimited daily access to your money. The best checking accounts come with low or no fees, lenient overdraft options, and the highest interest yields around. It’s also a good idea to check for any sign-up incentives. Some banks will give you money for choosing to open a checking account with them. A checking account gives you access to your everyday spending money and gives you the ability to partake in day-to-day banking. Day-to-day banking includes paying bills, depositing cash, and depositing or cashing out your paychecks. Today, living without a checking account is uncommon as checking accounts make all day-to-day finance activities easier and more secure too. Once you open a checking account there are many ways to access the money in it. You can retrieve your money by using a debit card, ATM, or personal check. With some checking accounts, you can even link your account to your phone and pay for daily transactions via your smartphone. And with almost all checking accounts you can use online accounts or apps to pay bills directly through your checking account and stay on top of all your transactions. Since the most common methods of accessing your checking account are through debit transactions or ATM withdrawals, it’s important to choose a bank that is widely accepted and has a large network of ATMs. Depending on the bank, you can get a checking account by visiting a physical branch or by applying to open an account online. You will usually be required to provide proof of identification and residence, such as a drivers license or state-issued ID, so the bank can confirm your identity and check to see if you owe large sums of money at any previous banking institutions. For your convenience, all the best checking accounts on this list have multiple physical branches or excellent online customer support to help make opening an account as easy as can be. You should only ever use a checking account for the money you need to access frequently. This can include money you use for everyday purchases and bills. It’s always best to keep any additional money you don’t need on a day-to-day basis in a different type of account. This is because while there is some potential for an interest yield with the best checking accounts, for the most part, your money won't be in your account long enough to earn much. It's a good idea to keep the money you don't need for day-to-day banking in a savings account or other account that earns you more interest. While the best checking accounts might be simpler and more straightforward than savings accounts and credit cards, there are still some important components that must be considered when choosing the best checking accounts. We’ve carefully considered all the most important parameters like features, fees, pros and cons, user-friendliness, and convenience to make sure you have all the best checking accounts to choose from. Fees are a big part of choosing the best checking accounts. Different checking accounts have different fees associated with them. The range in fees is extremely varied. To give you the best deal, we've focused on the best checking accounts with the lowest fees. To pick the right option for you from all the best checking accounts, it's important to understand the different fees associated with these accounts. Most banks with physical locations won't charge you if you use a bank affiliated ATM, but if you use a non-affiliated ATM, you'll probably face charges from your bank and the bank whose ATM you used too. With a checking account from an online only bank, then you might be stuck with no option but using a non-affiliated ATM, and the fees that come with it. Luckily, the best checking accounts waive ATM fees or reimburse them. When picking the best checking accounts, it’s important to consider the ATM perks and fees of the account. Some banks charge you a fee for monthly maintenance on your account or for having less money in your account than the monthly minimum. Banks do this because they can make more money off of accounts with higher balances. The best checking accounts won’t enforce such fees, and if they do, they’ll usually provide easy to meet requirements to avoid the fees. Overdraft fees are fees that a bank charges you if you spend more money than is available in your account. How this works is that if you’re making a purchase with your debit card that costs more than your balance, your bank will let the charge go through even if you don’t have the money in your account. While at first glance this might sound great, in reality, your bank is just going to turn around and charge you a hefty fee. Overdraft fees range in price but can be around $25.00 or higher. Also, with some checking accounts, there are no limits on the overdraft fee. With these accounts, if you use your card multiple times in one day when there isn’t enough of a balance, you can be hit with multiple overdraft fees, sometimes adding up to hundreds of dollars. Chase Bank is a common name in the banking world, and a Chase checking account comes with some great features like access to a huge network and good customer service. Since Chase is a well-known bank, it has a wide network of branches all over. Chase is a great choice if you like to deal with in-person banking consistently. One downside of a Chase Bank checking account is that there are fees associated with the account and with non-chase ATMs. A checking account with Chase has a $12.00 monthly fee, but on the bright side, this fee can be waived with a direct deposit from your job or as long as your account balance stays at or above $1,500.00. At non-Chase ATMs in the US you’ll face a $2.50 fee, and abroad the fee is $5.00 plus 3%. 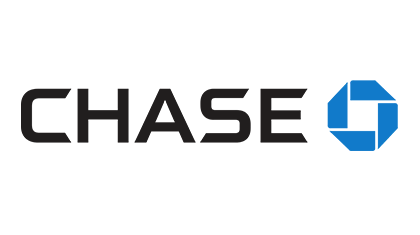 Chase has over 5,100 branches nationwide and you can use their site locator to find one close to you. Key features of a checking account with Ally Bank is a high-interest yield, no monthly payments, and advanced online services. The runner-up on the best checking accounts list is unique because it is an online-only bank which means no physical branches. Despite the lack of physical branches, Ally Bank provides great 24-hour customer service you can access via a phone call or online chat. With Ally Bank, there are no fees for a checking account and you’ll have access to over 43,000 Allpoint ATMs to use for free. On top of that, the bank offers a $10.00 a month reimbursement for fees charged by other ATMs. Ally Bank is an online only bank, so it has no physical locations, but can easily be accessed online. Discover might more commonly be associated with credit cards than checking accounts, but a checking account through Discover Bank comes with some perks. A unique feature of this pick on the list of best checking accounts is that it provides one percent cash back on up to $3,000.00 in purchases per month. That means that just by having a checking account with Discover Bank, you have the potential to make an extra $360.00 a year just for making purchases you need to make. An additional perk for those who want to monitor their credit situation is free access to your FICO credit score. This is especially useful because your FICO credit score (calculated differently from the VantageScore and more likely to be used by financial institutions) can be much more difficult to access without paying a fee. This checking account comes with no monthly fees and Discover Bank ATMs are free to use. Fees may be associated with nonaffiliated ATMs and overdraft fees may be charged. Discover Bank has over 60,000 ATMs nationwide, but the only physical branch is in Delaware. Axos Bank might be another bank you haven’t heard too much about, but their checking account has some great features. Key features of an Axos Bank checking account are that there are domestic ATM fee reimbursements, no fees, and a high-interest yield. This bank is one of the best checking accounts around because the potential interest yield is rather high for a checking account. If you can manage monthly deposits of $1,000.00 or more and use your debit card 15 times a month for purchases of $3.00 or more, then you have the potential to earn a 1.25% APY. Checking accounts with Axos Bank have no monthly maintenance fee and no overdraft or insufficient funds fees. Plus with this checking account, you can have your ATM fees reimbursed too. Axos Bank has no physical locations but can be accessed online. Key features of an Alliant Credit Union checking account are good interest yields and advanced digital tools. Alliant Credit Union has criteria they want you to meet before you can open an account, but if you don’t meet the requirements, they’re willing to help you out. Alliant Credit Union will let you open an account if you support one of their affiliate nonprofits, plus they’ll make a $5.00 donation for you too. Alliant Credit Union doesn’t have a monthly maintenance fee on their best checking accounts and gives you access to many free ATMs, but there is a $25.00 overdraft fee that can be applied multiple times a day if you aren't careful. This credit union only has one physical location in Chicago, but you can access all you need for your checking account online. There are so many checking accounts to choose from and to keep your money safe and convenient while avoiding charges, knowing what to look for in the best checking accounts is important. Each bank and credit union on this list of the best checking accounts covers the most important components of your day-to-day banking needs. You won’t be disappointed with any of them. While all the checking accounts on this list are great, the best one for you depends on your specific needs. If you like dealing with in-person service, then hands down the best choice on this list for you is a checking account with Chase. If you will have over $1,000.00 in deposits each month and plan on using your debit card over 15 times a month, then the best option is Axos Bank. If you meet these criteria, with Axos you can receive a great APY. If you love getting the most bang for your buck, then the best choice is a checking account with Discover Bank because of its cash back feature. Whatever your needs, now you're ready to choose the perfect bank for you.